If you’re missing several teeth in one area, a full or partial denture might be the solution. When you don’t have teeth in part of your mouth, it can affect how you chew and bite. This might lead to painful meals when you should be enjoying yourself. Missing teeth can also negatively affect your self-confidence. Custom-fit dentures act as natural teeth and allow you to get on with your life. 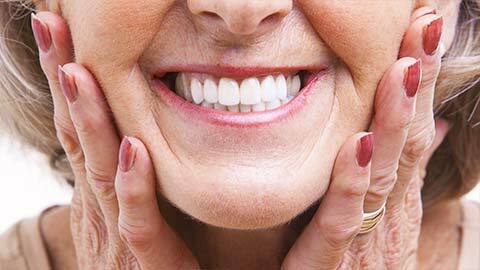 Dentures can improve your health, your appearance and your willingness to smile. We use the latest technologies to make natural-looking dentures that feel comfortable in your mouth. Every denture is custom-fitted just for you. When you see the results, you’ll be smiling again! Full: Full dentures involve creating artificial teeth and acrylics specifically for your mouth. They replace either all of your upper or all of your lower teeth. We can secure these dentures with dental implants, which make for a better fit and improve their stability and function. Dental implants also prevent further deterioration of the jaw bone. Partial: Partial dentures may be either removable or permanent. They may also be called a bridge if they are not removable. They are either acrylic or have a metal framework that holds onto the remaining natural teeth and improves stability. Dentures really are a life-changing treatment. You won't be able to believe the difference they make in your life. 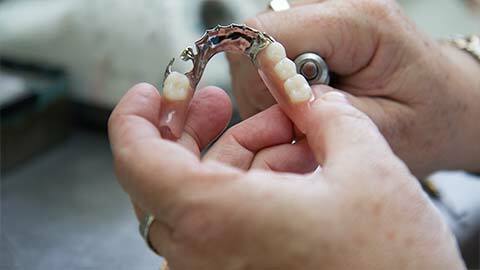 If you need more information about Dentures in Hamilton, contact us today.